With technology and quality as our forte, Star Metal Forms Pvt. Ltd. is a leading manufacturer, exporter and supplier of a wide variety of security doors, garage doors, double doors, flush doors, panel doors, galvanized steel doors, metal doors, single doors and fire doors. Our products are renowned around the globe for their superior quality, unmatched strength, corrosion resistance, high tensile strength and smooth finish. We at Star Metal Forms, are strengthened by a dedicated team of proficient engineers, mechanics and technicians with considerable industrial experience. Our state-of-the-art manufacturing unit is well-equipped to handle bulk orders customized to client specifications. We pay utmost attention to the quality of our products. For this, our Quality control supervisors closely monitor the entire manufacturing process to ensure quality standards and client specifications are met accurately. We have been able to garner the trust of our clients through high quality standards, customization, competitive pricing and sound business policies. Our organization imported an automatic door line from USA and started production of insulated door entry system well known in USA under the name FINESTRA Ohio. Guided by ethical and transparent business philosophy, we are committed to offer our clients complete satisfaction for their value of money. We believe in offering the best quality products to our clients spread across the globe such as ABUDHABI and SUDAN within stipulated frame of time and within competitive rates. 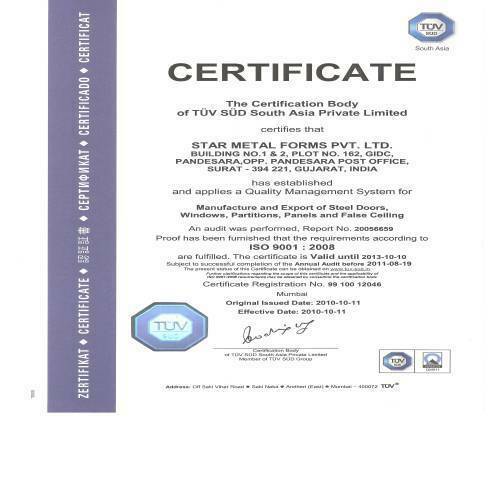 Star Metal Forms Pvt. 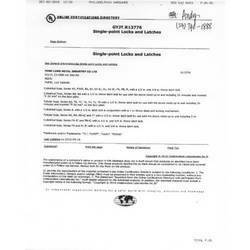 Ltd. is a quality committed organization which follow Total Quality Management. We ensure that our range is quality tested on varied stages right from the procurement of raw material till the final dispatch. We are committed to offer superior quality products which are not compromised on quality even in the most adverse situations. Our quality controllers are dedicated to provide best return of client's money. Quality is of utmost importance to us. We have an experienced quality control team manning the quality process at all the phase. The entire range of products and raw material that we source undergo strict quality tests as per International norms to ensure that the customer receives the best. Rigid quality control procedures are followed, right from the beginning to the packing stage. 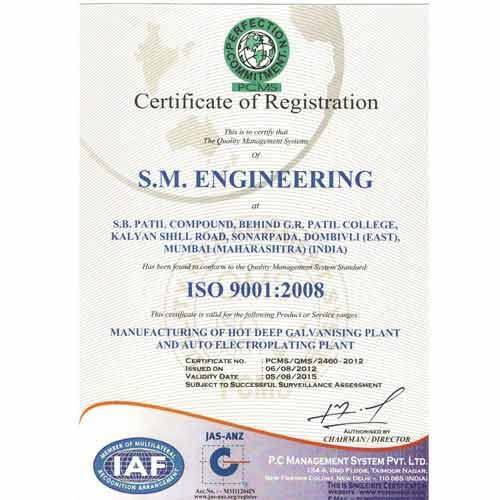 The company is committed to staying at the top by ensuring total quality management at all levels.